We hope you had a wonderful Christmas and a cozy, relaxing week. 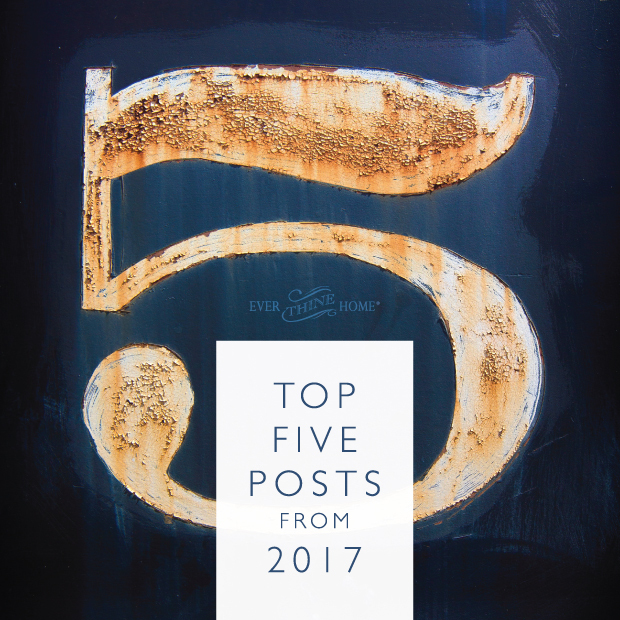 As we wrap up 2017, we wanted to look back at some of our top posts from this year. You may have missed one of these or a reread at this time in your life might be an encouragement you or a friend need. We would love for you to consider sharing a post with someone who isn’t yet part of our community. Looking forward to what He will do in our hearts and homes in 2018. 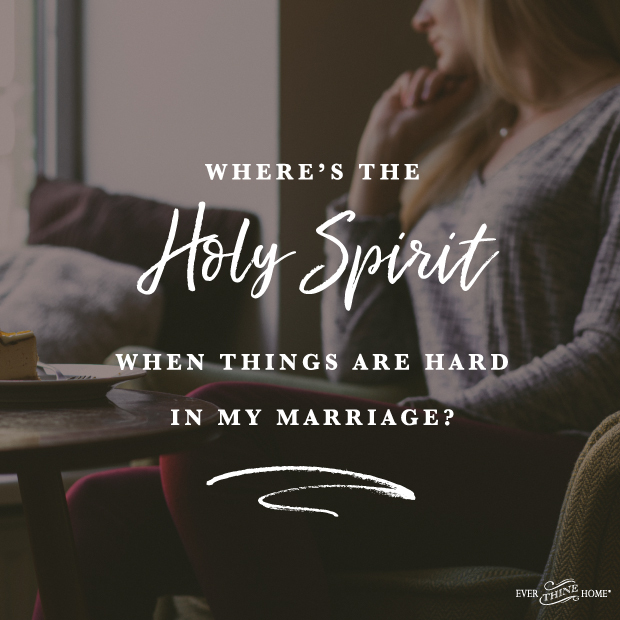 An open letter to my sisters in Christ about marriage breakups. When marriages all around you are dissolving, it is normal to start wondering how yours is going to make it. It might be your parents’ marriage that didn’t last. Maybe you know of a couple that wedded the same year as you and now you’ve witnessed their dramatic divorce. 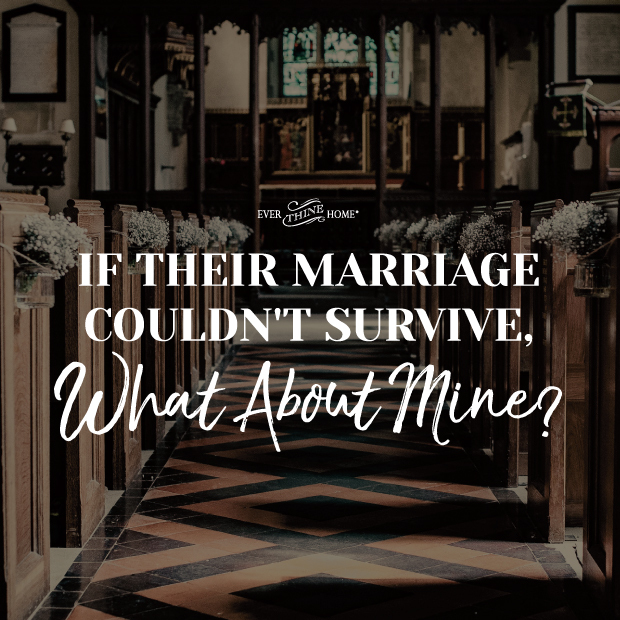 You might keep up with headlines to see famous marriages dwindle with the decades.No doubt, right now you can name family members, friends, ministry leaders, and church leaders who are struggling or have even announced their intentions to end it. Perhaps yours is the one struggling. Read more here. 2. Our daughter, Rebecca, was in competitive gymnastics during her elementary school years. Agility and flexibility were part of her DNA, so, twisting, tumbling, the splits, and a host of other complex skills were relatively easy for her. For me it was a true delight to watch her practice and perform in meets. Imagining her quitting was difficult….that is what my husband wanted her to do. So Dennis and I began a very long conversation about the cost, financially and as a time commitment for her, for us and our entire family, as we considered her continuing to a higher level of competitive gymnastics. Read more here. 3. Dear Barbara, I’m struggling right now. 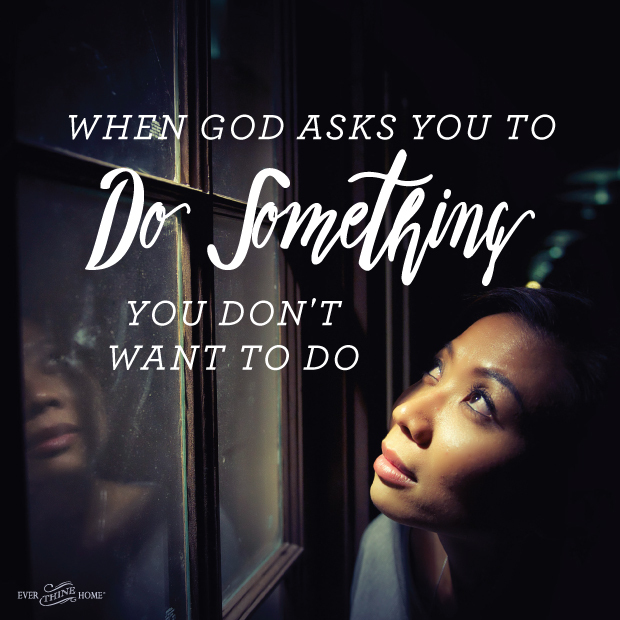 I really feel God asking me to do something that sounds too hard. Honestly, I don’t want to obey. Why would He do that? How can I negotiate? Read more here. 4. It was late, and she was crying now. Her marriage had been hard—hard for a long time. I think it was there that I really saw Him, though He’d been there the whole time. Sometimes the Holy Spirit is a little like an I Spy book to me. Knowing what He looks like, I’m learning to spot Him among the clutter of circumstances, ones He’s meticulously arranged. I want to tell you what He looked like, there in that hotel room, where she was just so tired of waiting for God to change things. Even there, in her road-weary face that longed for a break in being “tough” and strong—I saw Him making beautiful things out of dust, as the song goes. Read more here. 5. 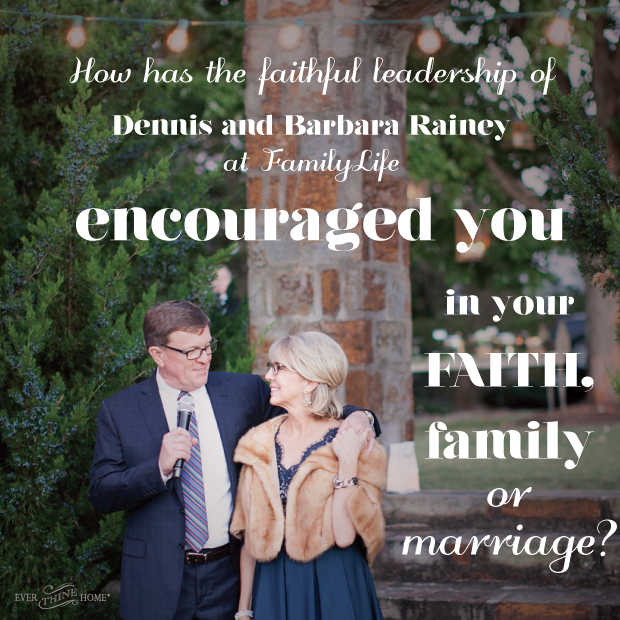 My parents have faithfully served the people and ministry of FamilyLife for over 41 years. This kind of commitment is almost unheard of today (who stays in one role for over 40 years? amazing.) and they have sacrificed MUCH over all of those years. 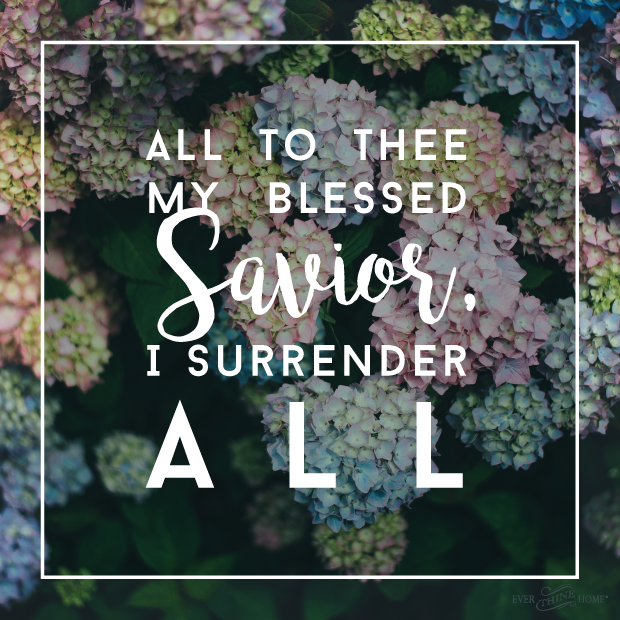 They’ve said no to a lot of things, fought for their marriage, for our family, and have always sought the Lord through every decision they’ve made. They are what they preach and what you see is who they are at home, when no one is watching. Read more here.